Informative content is what draws in your reader. Relevant content is what makes the reader stay. Both go hand-in-hand in order for the content and the website to become successful. It is the foundation of a quality website. The principle is, you provide something of value for free to your website visitors. Through which, you establish trust and rapport with. Trust is invaluable for conducting any business – especially online. Although there are several ways to market your business, a clearly defined online strategy is not a walk in the park. However, when the right methods are used and with consistency, they can be very effective. Some methods can be very expense with a low return on investment, and it is important to know how to generate exposure in the most cost-effective way. This is why we are brought to the conclusion that one of the best forms of advertising is online article marketing. Search engines rank websites based on various factors, including the quality and relevance of information it offers to Internet users. This is one positive factor that search engines will value your website for and increase it’s ranking in the search engine results. At the same time, search engines are becoming increasingly intelligent with their algorithms and sensitivity to grammar, spelling and semantics. Semantics is the proper use of words within a context and the meaning of the content. For this reason, content articles must not be flooded with keywords hoping that this will be greatly favoured by search engines. In fact, an overly-optimised webpage of content is known to be sanctioned by the search engines. A quality article possesses a balanced keyword density. A keyword (or search term) is what internet users utilise to look for content. It is also used to optimise your site. Keyword density is the number of times the target “search term” is used in a webpage or article. There are several ways to distribute your articles online and increase your website traffic and readership. As long as the article is engaging, well-written, easy-read, relevant and informative, it will definitely spark an interest amongst your readers which will cause them to click the link towards your website. A well-written article allows you to appear as an authority in whatever market you write about. This will automatically build trust in the reader. This is a key factor in the success of any website as it increases website traffic exponentially merely through content writing. Keep in mind that quality content may not necessarily have to be an 11-page essay. 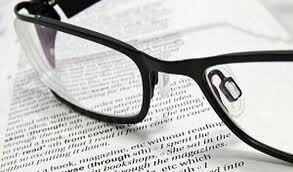 In fact, a 400-500 word article can do the job for you. Any article that’s longer than this would be boring and time-consuming already. Keep it simple, short and sweet. It would be a mortal sin not to avail article marketing as an effective part of your marketing strategy. If you want to incorporate article marketing into your marketing mix, contact us to discuss your requirements.